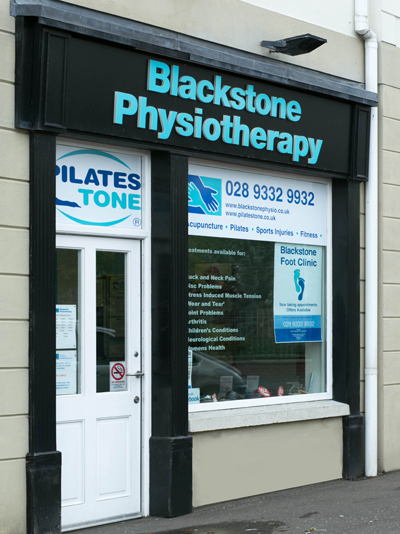 Blackstone Clinic is the leading Chartered Physiotherapy, Pilates and Podiatry clinic throughout Northern Ireland & Ireland. All of our staff are highly qualified experts in their chosen field. We pride ourselves in the level of service that we offer to all of our clients. The Moira clinic was established in 1999 and moved to new premises in 2009 boasting state of the art facilities designed to enable us to extend our range of services and treatments available. The Moira clinic has been well established for almost 20 years and continually aims to provide the highest standard of Physiotherapy treatment. Access is suitable for wheelchair users. The Carrickfergus clinic opened in 2009, recently renovated and expanded in late 2013 presenting a new foot clinic as well as a wider range of services and treatments. The Dundalk clinic was established in 2017 in new state of the art facilities in the centre of Dundalk, and has gone from strength to strength under the ownership of Fionne Austin, Chartered Physiotherapist. 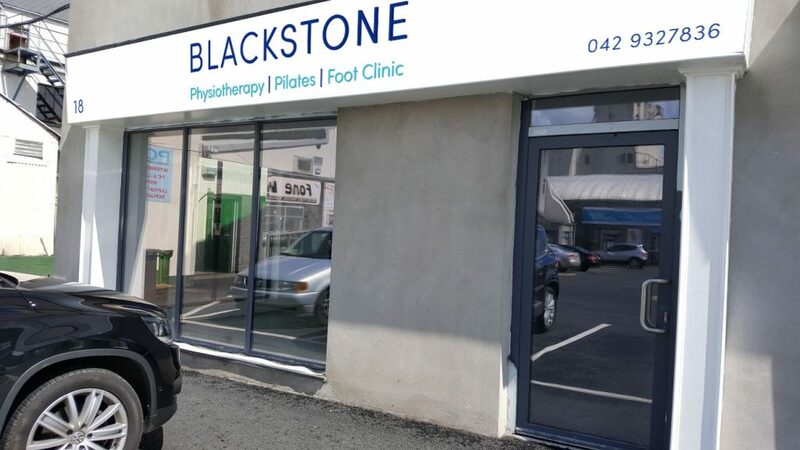 Fionne has a wealth of experience in treating patients and previously worked in the Moira clinic for a few years before taking the step to open a Blackstone Clinic of her own. 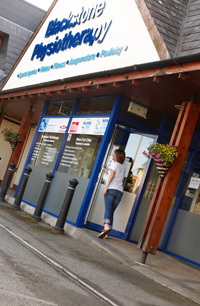 The clinic provides Physiotherapy, Pilates and podiatry. Patients may refer themselves or treatment may be recommended by you GP or Consultant. We have an extensive range of treatments available. For more information please Click here. We can now refer you directly for MRI Scans if it is considered beneficial. We have classes running in both clinics throughout the week. More information about Pilates can be found at our Pilates Tone website. Payment by cash and cards accepted. Both Clinics are recognised by all of the major Health Insurance Companies (BUPA, AXA PPP, Aviva, etc).